3) Compensation Survey up and ready! Right after Labor Day, the Company and the Union met for a short (1.5 day) negotiations session in Los Angeles at Norwegian’s crew hotel. The meeting was originally intended only to be a 1 day in-person “meet and greet” between the federal Mediator and Norwegian Management, but in the spirit of reaching an agreement ASAP, both sides agreed to schedule an extra day for Negotiations. While no agreements were reached, we still had a productive discussion and made movement on several articles. It is our hope that that when we meet again in two weeks (Sep 25-27) we will reach tentative agreements on some articles. We are right in the middle of discussing the Scheduling article including items related to pay (i.e. pay protection for pulled/cancelled trips). The Company understands the issue and the discussion on pay protection has been productive. We are optimistic that further discussions on this issue will yield a resolution that the crew will be happy with. The International Aviation Club is the forum for new faces and pronouncements affecting commercial aviation in the United States and the worldwide community. 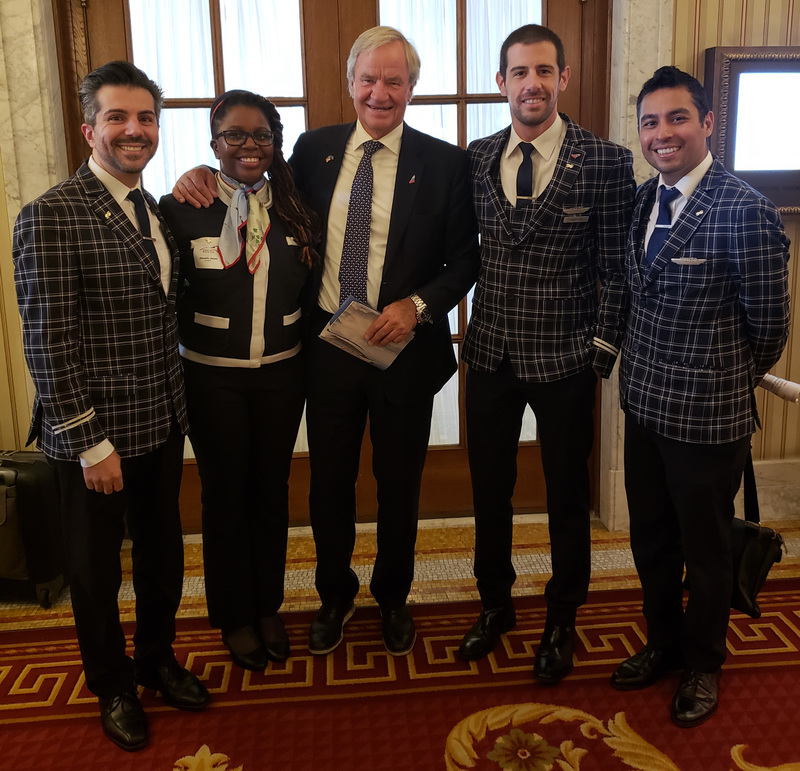 On September 6th, the International Aviation Club hosted our CEO Bjorn Kjos as their guest speaker at the Willard Hotel in Washington, D.C. The AFA bought a table at the luncheon and several US-based Norwegian Crew Members were invited to come and support Bjorn in his presentation to the crowd. Bjorn discussed the importance of the US market to Norwegian’s future and promised that more routes (and more crew bases) will be added to the US market in the near future, though no specifics were given on where the routes or crew bases would be. Always contact us if you have any questions or need more information or clarification on any union-related matters including Negotiations. Stay Unified. Stay Professional. Be Courteous to each other.